Laura F. Gibson, Ph.D., senior associate vice president for research and graduate education at WVU Health Sciences, has been selected as a fellow in the Hedwig van Ameringen Executive Leadership in Academic Medicine® Program for Women at Drexel University College of Medicine. The ELAM® fellow program serves to recognize senior women who demonstrate the greatest level of potential for executive leadership positions at academic health centers. ELAM is the only longitudinal program in North America dedicated to preparing women for senior leadership roles at schools of medicine, dentistry, public health and pharmacy where they can effect positive change on their institution. Gibson is recognized as an outstanding leader, researcher, mentor and educator. 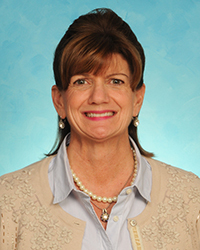 She also serves as associate dean for research in the School of Medicine and as the Alexander B. Osborn Distinguished Professor in Hematological Malignancies. Her current focus in on optimizing research infrastructure at the Health Sciences Center and collaborating with University leadership to contribute to an optimal scientific work environment. ELAM is a core program of Drexel University College of Medicine in Philadelphia, Pa. The program continues the legacy of advancing women in medicine that began in 1850 with the founding of the Female Medical College of Pennsylvania, the nation’s first women’s medical school and a predecessor of today’s Drexel University College of Medicine. For more information on the ELAM program curriculum, faculty and participants, visit www.drexel.edu/elam. © 2019 West Virginia University. WVU is an EEO/Affirmative Action employer — Minority/Female/Disability/Veteran.